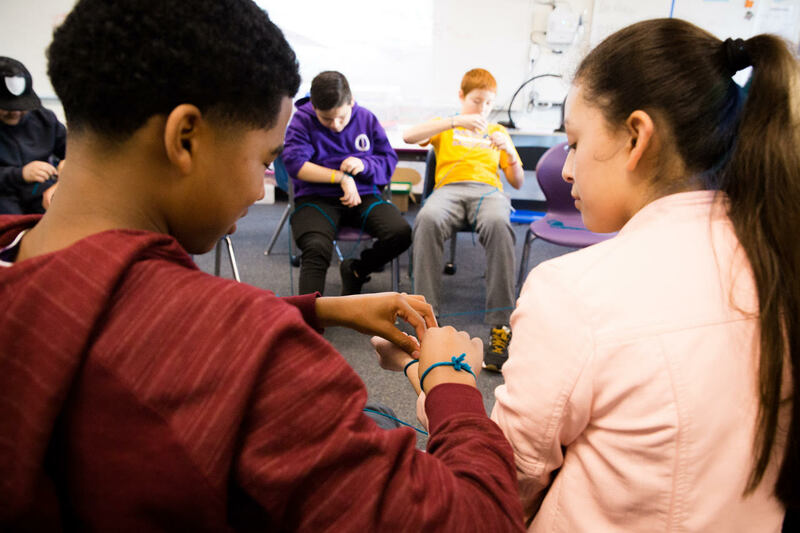 The University of Washington Center for Educational Leadership is pleased to announce the launch of a new line of service, Leading for Teacher Professional Learning. Unlike traditional investments in teacher professional development that have not consistently yielded results for students, our approach to professional learning develops teacher collective efficacy — a long-term, sustainable approach to addressing persistent challenges of student learning. Our partnership methodology ensures that your investment will be aligned with ESSA’s requirement for professional learning activities that are sustained, intensive, collaborative, job-embedded, data-driven and classroom-focused. 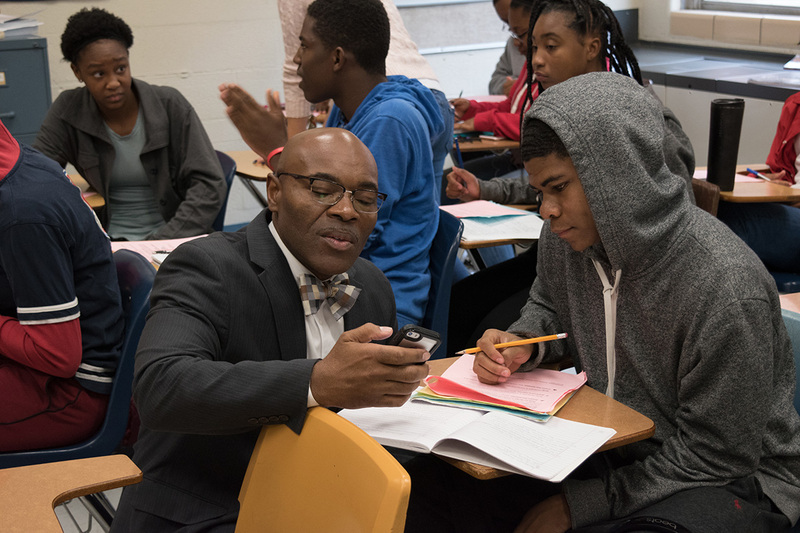 In this latest installment of the Throughline, Max Silverman speaks with Superintendent Joseph Davis about his commitment to changing educators’ mindsets to enable the creation of rich and challenging learning environments featuring strong content for all students — especially students of color. Dr. Joseph S. Davis has been the superintendent of the 11,000-student Ferguson-Florissant School District in Hazelwood, Mo. since 2015. A former middle school and high school math teacher, Davis previously served as the superintendent of the Washington County school system in North Carolina and was also the deputy chief of schools for the Chicago Public Schools. He has earned two master’s degrees in education and holds a doctorate in administration, planning and social policy from the Harvard University Graduate School of Education. For the 2019-2020 school year, AASA, the school superintendents association, has again partnered with the University of Washington Center for Educational Leadership to bring CEL's Principal Supervisor Professional Development Program to all central office leaders who support principals' instructional leadership growth as their primary responsibility. The content for the AASA National Principal Supervisor Academy is based upon the Council of Chief State School Officers Principal Supervisor Standards, the latest research on adult learning and leadership development, as well as promising practices from districts across the country. Academy participants work from problems of practice, use cycles of inquiry, learn from case studies, and utilize virtual professional learning communities and virtual individual coaching. 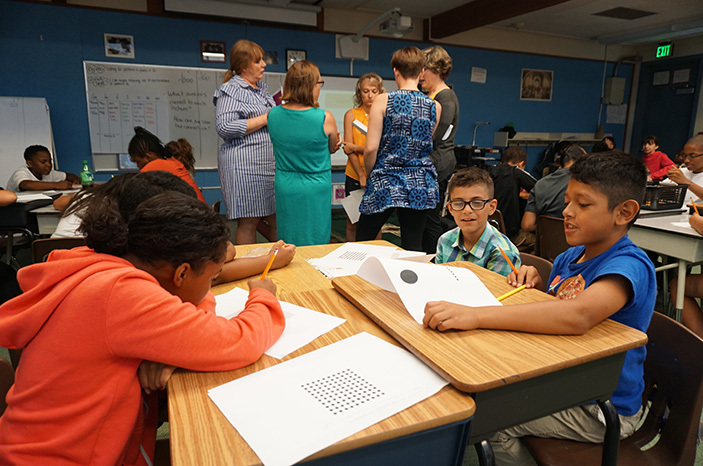 As we at the University of Washington Center for Educational Leadership continue to visit classrooms this year and celebrate the gains we are seeing, we encourage educators to also celebrate and then think about their next steps for improving outcomes for students. In this spirit, we are pleased to announce a new resource we have developed, the Leadership Guide for K-12 Teacher Professional Learning. We know that our field's traditional investments in teacher professional development have not consistently yielded results for students. Creating transformative schools and classrooms where all students develop agency and efficacy requires a new approach to how teachers help them learn and engage. The Leadership Guide for K-12 Teacher Professional Learning is for leaders in classrooms, schools and school systems who want coherent, authentic, sustainable, and effective teacher learning aimed at improving outcomes for students. 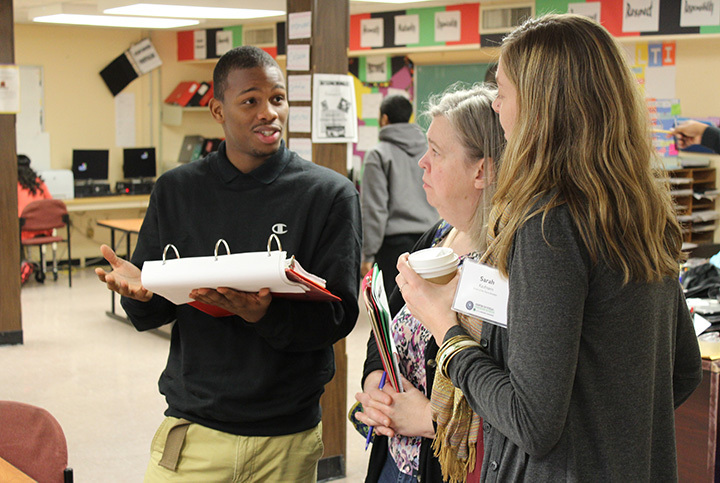 In this latest installment of The Throughline, Max Silverman speaks with Superintendent Jennifer Cheatham about how to create deep and rich student-centered learning experiences, as well as meaningful professional development for teachers in a school system approach based on equity. Jennifer Cheatham is the superintendent of the 27,000-student Madison Metropolitan School District in Wisconsin. Cheatham specializes in creating systemic improvements in urban districts through the development of instructional alignment and coherence at all levels of a school system. Previously, Cheatham was the chief of instruction for the Chicago Public Schools, leading the central office team to support schools in instructional improvement and was the executive director of curriculum and instruction for the San Diego City Schools. The Center for Educational Leadership's executive director, Max Silverman, will take part in two panel discussions at the AASA 2019 National Conference on Education in Los Angeles. Silverman will engage in a facilitated dialogue about leadership strategies for closing achievement gaps and increasing success for all students, in a panel titled, "The Missing Link: Accountability With Staff Support." Then he will participate in a discussion on how to strengthen your principal workforce and improve their competencies as they become instructional leaders in a Thought Leader panel titled, "Great Principals Have Great Leaders." We are excited to announce the first cohort of CEL District Leader Fellows. The CEL District Leader Fellowship is a yearlong professional development and work opportunity for district leaders who possess professional expertise that will serve the Center for Educational Leadership’s mission, help the organization expand its current knowledge base, and allow us to better serve our district partners. Our primary goal in creating this fellowship opportunity is to broaden and diversify the network of leaders who can inform CEL’s work based on their professional and personal perspectives. We believe it is critical for us to truly understand the professional journeys of the leaders we support across the country. 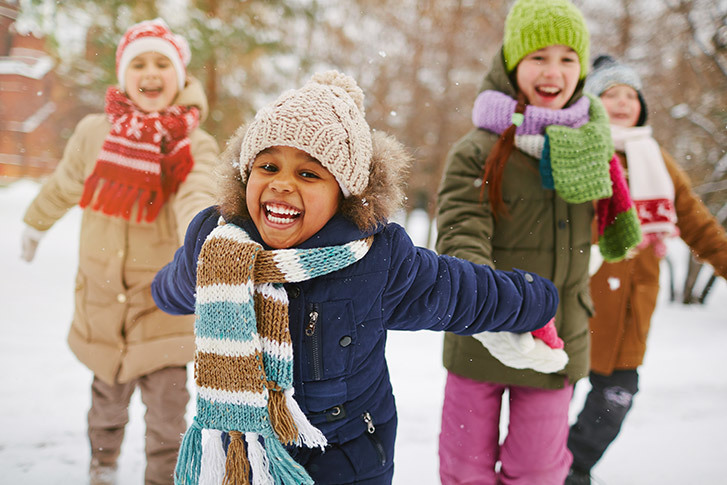 On behalf of all of us at the University of Washington Center for Educational Leadership, I am writing to wish a happy and peaceful new year to all of our partners, peers and supporters. The past year has been an exciting one for us, and we expect an exciting one for you as well. We have focused most of our effort on supporting teachers and principals, and the wide range of leaders you can find everywhere across school systems, from classrooms to the central office and beyond. We are continually humbled by what it means to partner with such committed educators. [Interview] Gia Truong on her commitment to equitable education systems that provide all students with the skills they need to thrive. In this latest installment of The Throughline, Max Silverman speaks with Gia Truong about ensuring that all students, regardless of background, experience a rigorous education, free from bias. Gia Truong is the chief executive officer at Envision Education, a mission-driven organization based in Oakland, Calif., that is transforming the lives of low-income, first-generation, college-bound students. 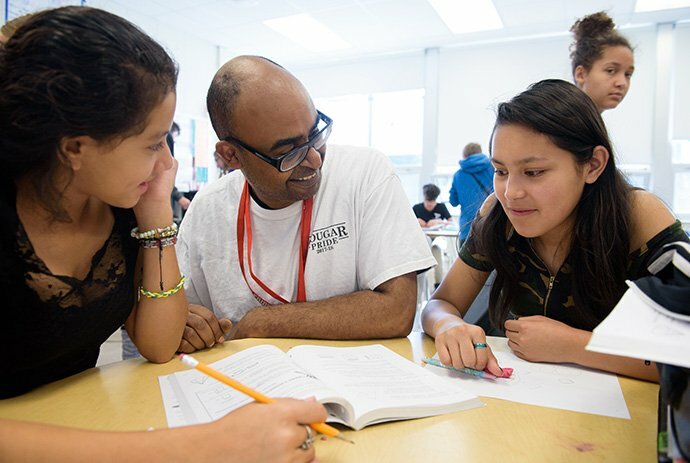 Envision operates charter schools in the Bay Area and provides training and consulting services to schools and districts all over the country. Truong leads Envision with a strong commitment to educational equity and a focus on providing enhanced rigor and deeper learning opportunities for students. She is a Leading for Equity Fellow with the National Equity Project, is a member of Education Leaders of Color, and is the former executive officer of California’s Oakland Unified Schools’ Department of Curriculum and Instruction. Max Silverman: Gia, we both have the honor of leading organizations with deep equity agendas. In your day-to-day work, how do you define equity?